Luxury Apartments Surrounded By High-End Features For A Glorious Life In Thane! Thane is a city where the property demand is on a constant rise. In fact, Thane’s real estate market is thriving with a number of residential as well as commercial projects in different parts of the city. 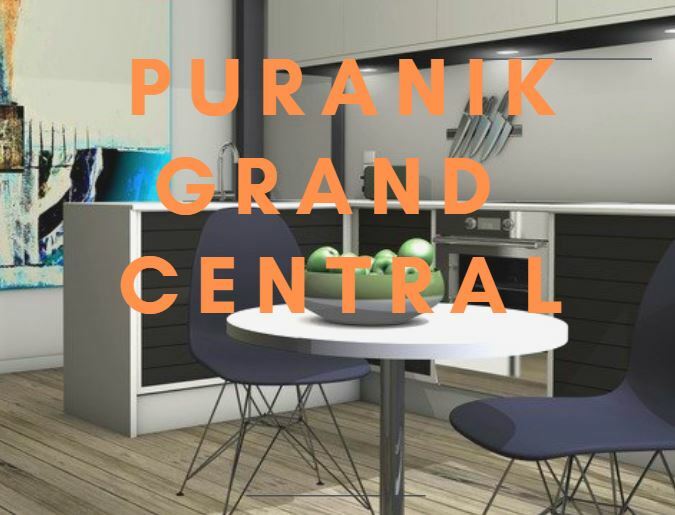 Puraniks Grand Central Thane is one of the latest residential projects in Thane by Puranik Builders Ltd. that offers premium luxury and comfort to the core! Spread over extensive acres, this residential development contains fabulous towers that are designed to comfort and offer variants of 1BHK and 2BHK apartments that are high on luxury. The apartment carpet area sizes start from 440 sq. ft. and go up to a beautiful 675 sq. ft., offering maximum luxury space that you will never run short of! Puraniks Grand Central is an outstanding development that speaks ‘luxury’ and ‘comfort’ in volumes! You will find apartments that are well-spaced and contain high-end fittings & fixtures, high-quality flooring, sleek kitchens with granite counters, gas leak detector and multiple provisions, large doors, wide balconies and windows providing majestic views of Yeoor Hills, modular switches for total safety, intruder alarm systems and other safety features. This residential development does not fall short on external amenities and offers only the best. Experience a new world of modern-day living that will surely satisfy your senses! The external amenities include a clubhouse, meditation centre, swimming pool, hi-tech gymnasium, jogging track, LED lighting in all common areas, car parking facility, swift lifts, wide open space, lobbies that are double-heighted and high-end security. Situated at Vartak Nagar in Thane, this residential development offers easy access to a number of landmarks and offers a life that is pretty convenient. Places like schools, colleges, banks, ATMs, healthcare centres, hospitals, malls, shopping centres, supermarkets, convenience stores, retail outlets, automobile showrooms, clubs, pubs, bars, cafes, restaurants, cinemas, all kind of public transport and a lot more can be accessed in a jiffy. Starting at an amazing price of Rs.82 lakhs and moving up to Rs.1.35 Cr., the apartments at this residential development are affordable and totally worth your savings for a new home or investment in Thane. You can choose from several payment plans along with home loan facilities, NRI services, customer support and more for a splendid purchase.